Proactive Sports also provide towels, dice games, and much more. We have tons of golf accessories that can help you practice your skills, and appreciate the game even more. The brand has always been focused on creating the best golf products and accessories that everyone can use. Since 1986, they have continued to innovate and develop creative products that have several different uses for golfers. Whether that’s some of our practice accessories, or golfing accessories that are useful for on the course. Another useful tool is our retractable cleaning brush and tool which can be effectively used by all golfers. It gets rid of dirt filled grooves easier than any other tool or solution on the market today. It can easily attach to your bag, and will clean your club face quickly and easily. We have plenty of accessories and golf products that many find useful and fun to use. Our outstanding selection includes a great variety of choices that spread across a wide range of uses. 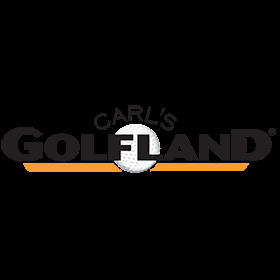 Here at Carl’s Golfland, we are committed to providing excellent customer service to all. We will help everyone find the perfect choice based on your wants and needs. If you need help finding something for you in our selection of Proactive sports gear, please let us know. We are confident there is something for everyone here in our collection.